Heartburn is that burning sensation behind the breastbone which can radiate up to the throat. But when you reached for that second helping of lasagna or onion rings or whatever tasted so good, it didn’t enter your mind. 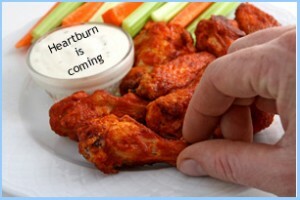 Heartburn or acid reflux begins it churning and burning after you have left the dinner table. 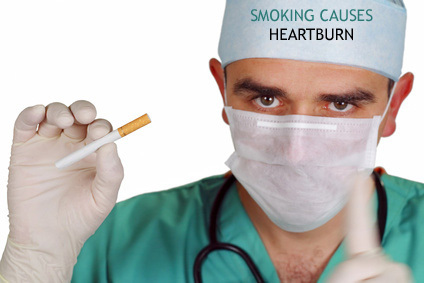 Heartburn can even cause a chronic cough, created by the acid reflux entering the lungs. If you have heartburn only occasionally, it shouldn’t be a concern. Just learning what you can eat and not eat, and exercising will power will be enough to subdue the symptoms. But if you ignore the symptoms and begin to experience heartburn two or more times a week, you can develop serious medical conditions. Heartburn is the result of the failure of the lower esophageal sphincter (LES) to keep the stomach’s contents in the stomach. This muscle acts as a valve at the junction between the esophagus and the stomach, opening when food is swallowed and closing again. When the lower sphincter muscle (LES) malfunctions, the gastric acid from the digestion process enters the esophagus, irritating the lining of the esophagus. The stomach’s lining is meant to produce and handle the gastric acid, but the more delicate lining of the esophagus is burned. Part of the gastric acid consists of naturally-produced hydrochloric acid, which you may remember from chemistry class as a highly corrosive compound that has major industrial uses. After all, it isn’t easy breaking down ingested food into the nutrients needed by your body. Although the condition is called heartburn, it has nothing to do with the heart, except for being located close to it. Heart problems can also cause a burning sensation, but it would be completely unrelated to acid reflux. Chest pain should always be evaluated by your doctor. Just another reason to stop smoking ! Obesity puts additional pressure on the stomach. 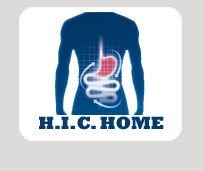 Hiatal hernias allow acid reflux to enter the esophagus. Smoking irritates the lining of the stomach, increasing acid production while also relaxing the sphincter muscle. Tight clothing can exert pressure on the stomach. Lying down within three hours of eating. Heartburn symptoms include substernal pain or burning sensation in the upper chest area, often spreading into the esophagus and further to the upper back and shoulders and is usually associated with regurgitation of gastric juice into the esophagus causing gastric reflux leaving a feeling of a lump there, sometimes lasting for days after the initial heartburn has ended. Wikipedia differentiates between the symptoms of classic heartburn and related conditions: “The terms dyspepsia and indigestion are often used interchangeably with heartburn, though some sources emphasize a distinction. Dyspepsia is defined as a combination of epigastric pain and heartburn. Heartburn is commonly used interchangeably with gastroesophageal reflux disease rather than just to describe a symptom of burning in one’s chest." It’s also important to differentiate between simple heartburn and the life-threatening chest pains associated with cardiac disease, which are very similar. If you suspect this condition, please seek immediate help at the nearest hospital emergency room or call a paramedic. A classic symptom of heartburn and attendant gastroesophageal reflux also includes a bitter taste in the mouth, the regurgitation of undigested or partially digested food. These symptoms are also associated with nausea with chest pains extremely similar to cardiac chest pains – often a prelude to congestive heart failure, or heart attack. Heartburn symptoms are usually worse after eating, especially after fatty, spicy or acidic food – can be made worse by bending over or lying down, so no matter what treatment protocol is recommended, staying in an upright position until medication is administered. Chronic or frequent recurrence is usually a sign that the patient may have gastroesophagal reflux disease (GERD). Although advanced states of this condition may have serious consequences, patients with heartburn and regurgitation issues rarely cause hospital admission or death. There are other smaller and uncommon symptoms, but if this condition persists, as always a consultation with a doctor specializing in gastroenterology would be wise. Antacids subdue symptoms in mild cases. Tums®, Alka-Seltzer® and Maalox® are some well-known brand names which will neutralize gastric acids. However, they are only effective for a short time. H2 blockers can decrease acid production. Pepcid AC® and Zantac 75® are two brand names in this group. Foaming agents cover the stomach with foam and prevent acid reflux. Gaviscon® is a popular brand name of this type. Proton pump inhibitors stop the production of gastric acids and also heal damaged tissue in the esophagus. Prilosec® is an over-the-counter brand name and Nexium® is available with a prescription. Prokinetics are a prescription drug which can help strengthen the sphincter muscle and move food faster through the stomach. This class of drugs does have drawbacks, such as depression, sleepiness, and fatigue. Also, physical movement may be affected. In addition, home heartburn treatments include raising the head of your bed a few inches, sleeping with your upper body elevated on pillows, and eating several smaller meals throughout the day instead of harder-to-digest large meals. Many people believe milk is a good antidote to acid reflux, but it actually stimulates more acid production and the heartburn returns, usually more severe. Your best route to finding relief from heartburn is to use the proper medications and make some lifestyle changes. If you find that you are experiencing acid reflux more than twice a week, you should consult your doctor to avoid developing GERD (gastroesophageal reflux disease). The price of overindulgence is too high when it comes to heartburn. Heartburn, Gastroesophageal Reflux (GER), and Gastroesophageal Reflux Disease (GERD). (2007, May). NDDIC.